Fertilizer and compost can both be highly effective additions to a healthy lawn, but to extract the greatest possible benefits they must be correctly used and carefully optimized. As leading providers of lawn care in southeast Calgary, the property maintenance pros at Mirage Landscaping are experts when it comes to the best use of these organic compounds. Understanding the mechanics of fertilizer will help you understand the benefits of using it regularly in your lawn care services. In essence, fertilizer enriches the soil, delivering key nutrients while helping the grass bed retain moisture. This creates optimal growing conditions for grass, keeping lawns thick, full and green. Fertilizers contain three key elements: nitrogen (N), potassium (K) and phosphorus (P). Nitrogen helps plants generate new stems while boosting their growing speed. Potassium stimulates the production and health of plant proteins, which play vital roles in photosynthesis and pest resistance. Phosphorus also supports photosynthesis while stimulating chlorophyll production. Photosynthesis is the means by which plants convert light energy into chemical energy and nutrients, and chlorophyll plays a major part in this conversion process. In addition, fertilizers deliver important supplementary nutrients, including zinc, calcium, magnesium, sulfur, iron and other micronutrients. Together, these nutrients give plants the building blocks they need for solid growth. Without these building blocks, they simply won’t be healthy enough to become robust; it’s like a car running out of gas or a construction crew running out of wood when building a frame. It is very important to apply fertilizer conscientiously and in the correct amounts. If you add too much fertilizer, you risk a condition called “nitrogen burn,” which can seriously damage grass. Applying fertilizer is a job best left to professional landscapers with the experience and know-how to strike the right balance. Compost works differently than fertilizer. With compost, microorganisms like bacteria and fungi do most of the heavy lifting. These creatures consume and digest the organic matter found in compost, generating heat and byproducts that help keep weeds at bay when applied to grass. It also adds another moisture-trapping layer and introduces more of the organic compounds that support lawn growth and sustained health. Yellow Spots in Your Lawn? At this point of the season, most lawns have yellow spots and dead patches. The easiest way to make them disappear is to remove the source of the damage. Common causes of dead patches include pet waste, deep thatch and high levels of foot traffic. Filling your mower’s gas tank over the grass is another surefire way to damage your lawn. The nutrients found in fertilizer and compost can help rejuvenate dry and unhealthy grass, so they may provide an alternative to re-seeding or laying down new sod. Are You Ready to Experience the Difference a Professional Lawn Care Touch Makes? 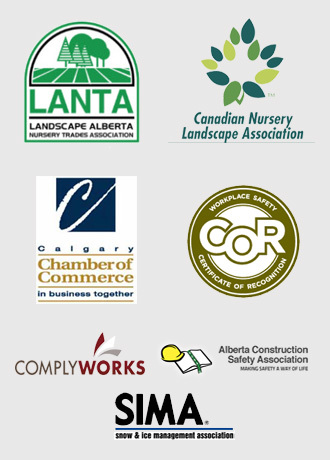 Mirage Landscaping is a family-owned Calgary company that provides affordable property maintenance services to business owners and homeowners. 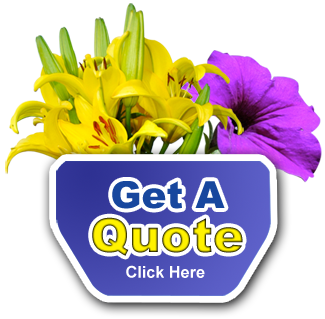 In addition to complete lawn care services, we also offer landscape design and construction services guided by an expert team of experienced professionals. With our help, you’ll improve your property’s curb appeal, enhancing its resale value and making it a more pleasant place to work, relax and enjoy the outdoors. If you’d like to learn more about our services, or for a free custom quote, please fill out our online request form and a customer service representative will be in touch promptly.